In this post, I'm going to show you some photos taken of an active volcanic area on The Big Island of Hawaii. The island is the real Hawaii but, as most people think of all the isalnds as Hawaii, they tend to call it The Big Island. 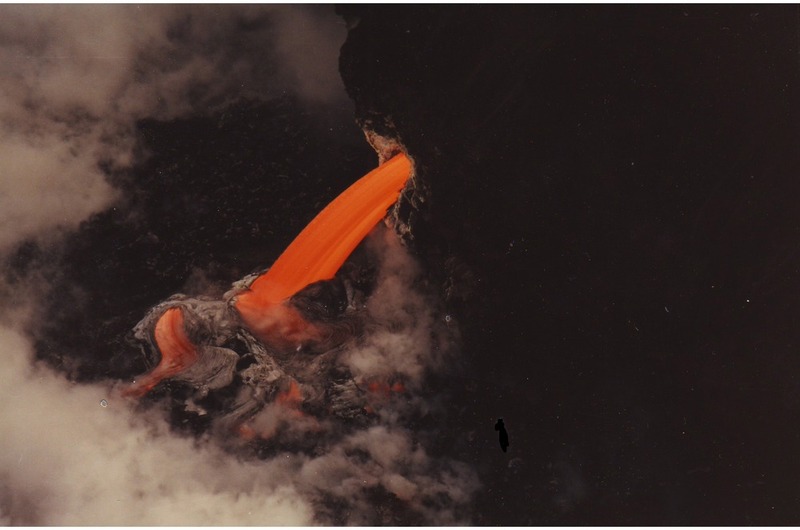 The photos below were taken of lava flows on Kilauea, one of the world's most active volcanoes. Tourists aren't allowed to get too close to lava flows because of the danger so these came care of a friend. I will later post some taken by me from the safety of a helicopter above a caldera*. 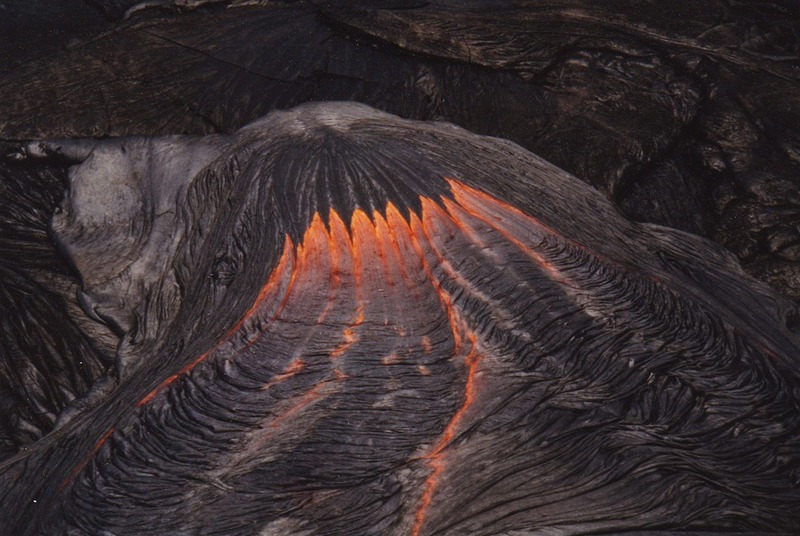 These photos show pahoehoe lava flows. 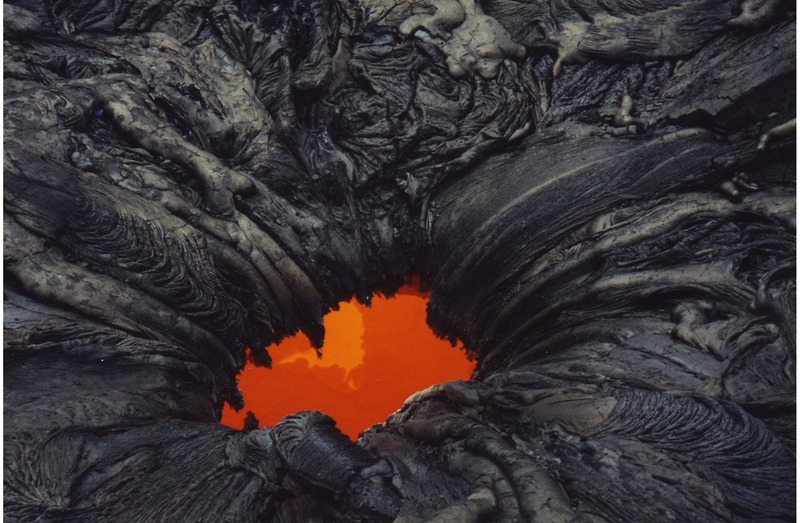 Being cooler, the darker colour flows ooze out of the lava tubes like honey from a tipped jar. The following two photos were taken from a helicopter. 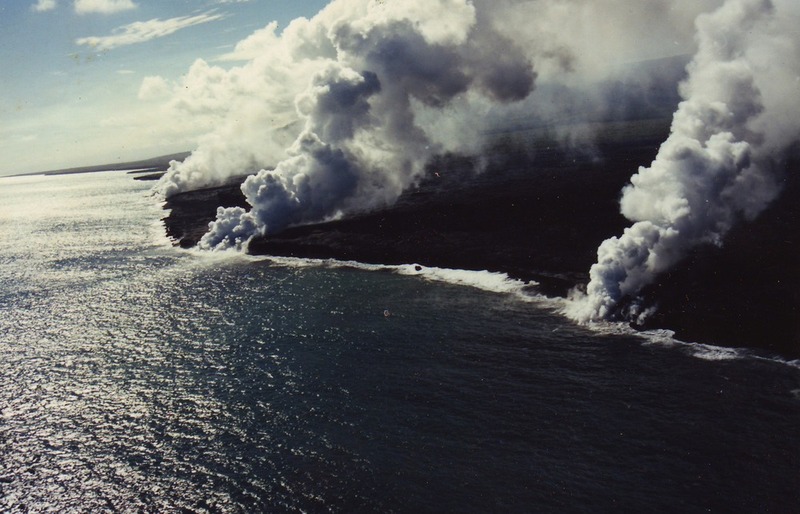 As the flowing lava hits the sea water, clouds of steam are formed as the water boils. 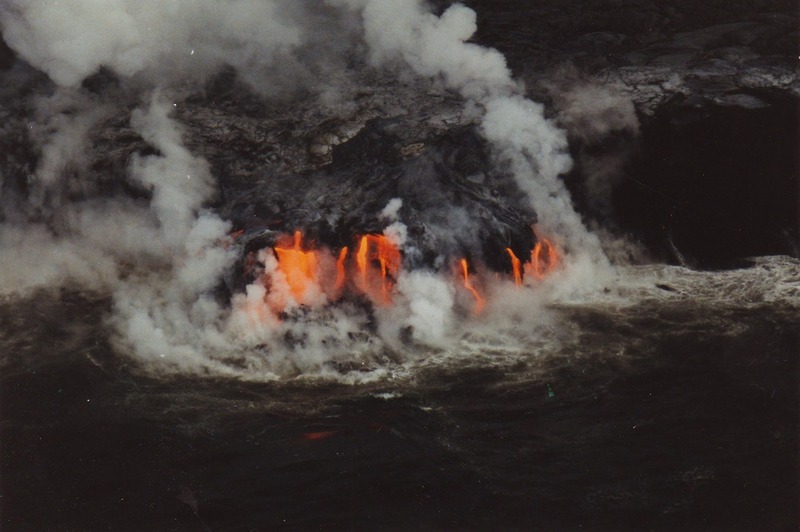 The constant flow of lava adds to The Big Island. Below is a Google Earth image of Hawaii. 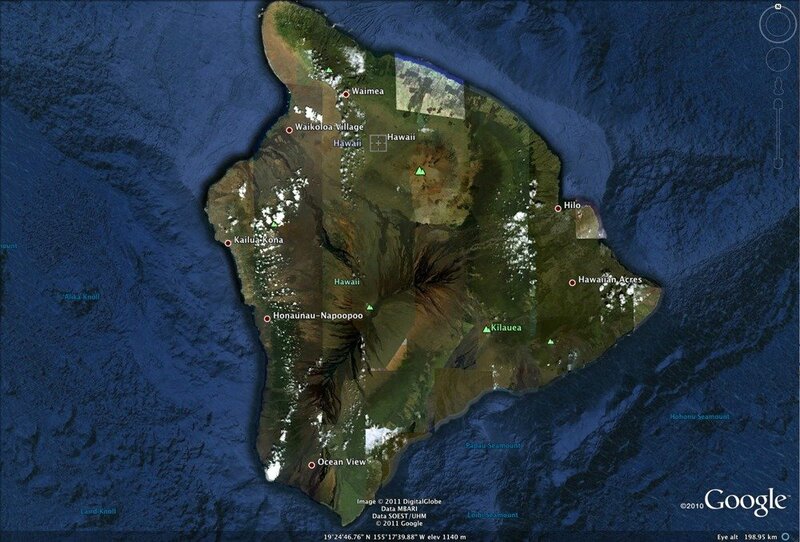 If you download Google Earth to your computer you can zoom in on Mauna Loa, Mauna Kea and Kilauea volcanoes.